Points count towards 5k, 10k, Kids, & Back of the Pack Series. Find more info about the series here. 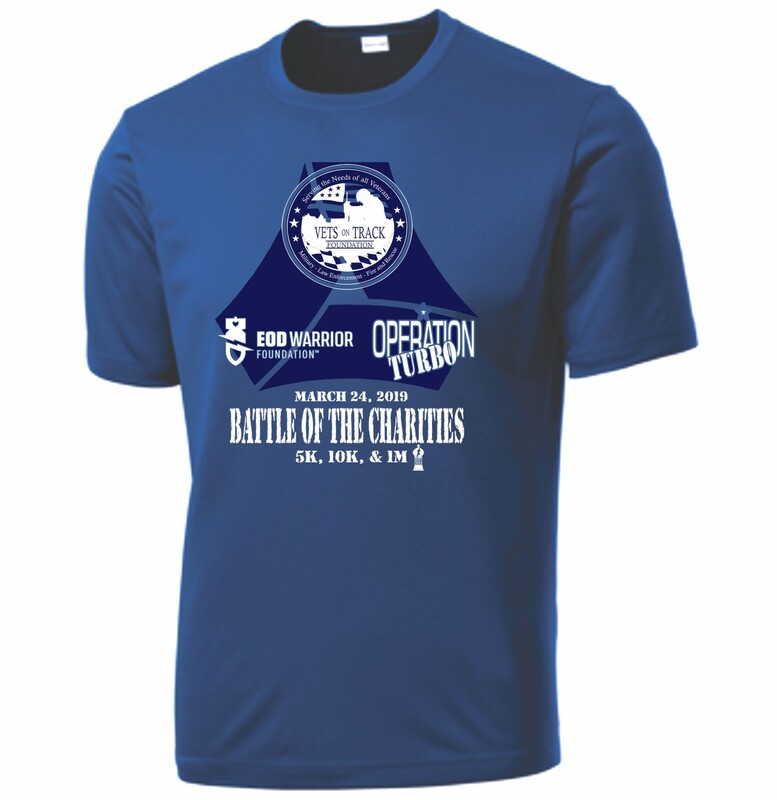 Benefits Operation Turbo, EOD Warrior Foundation, and Vets on Track. This will be a battle of the charities! Event Day (the serious competition for 25% of event profits): On race day, competing charities will have booths set up to promote votes towards their charity. Each runner will receive a voting ticket with their registration, but will also be able to purchase additional tickets on site. The charity with the most votes will receive the portion of the event profits. T-shirts guaranteed to runners registered before March 13. We will order extra t-shirts for those who register after that date, but it is on a first-come first-served basis.